IAMFEZ aka Chris McClean originates from a dark industrial corner of the north east of the England. A graphic designer who started the design studio Soul after moving back to the UK following four years of self imposed exile in Amsterdam. 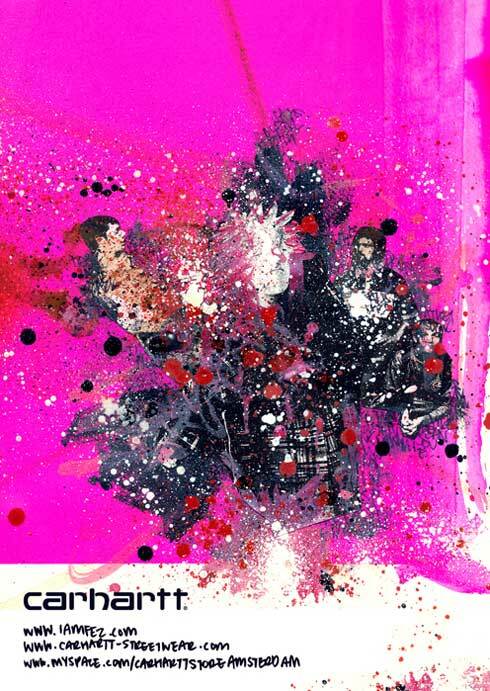 Influenced by the compositions of late Reggie Pedro’s paintings, the abstractness of Futura’s characters and the typographic forms Jose Parla paints. Chris finds inspiration in his immediate surroundings; the music from the stereo, the awkwardness of the disused factories that litter his hometown, shards of sunlight that pierce through the North Sea fog, (in which he spends most of his free time catching waves), and the characters at the local bowl where reputations are lost and found. This series of paintings Souless Hero’s focuses on the modern day hero and its relationship with the decay of the hero of old. 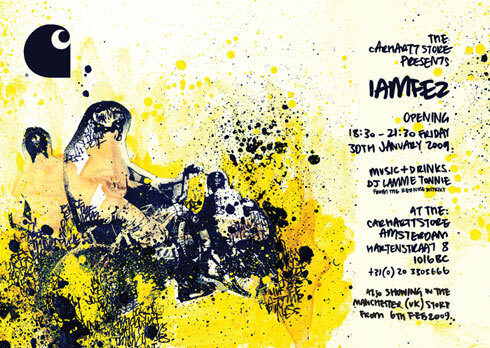 On friday the 30th of January we will have our first official 2009 expo opening with IAMFEZ! Everybody is invited to join us this evening to have a look at IAMFEZ’s new artwork! Offcourse we want to open this expo with some drinks and music by DJ Lamme Tonnie (Rednose Distrikt). January, 30th / 6:30 p.m.